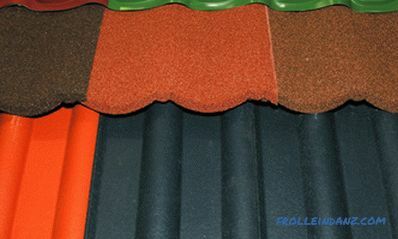 One of the most important conditions for the success of repairs, in particular the replacement of floor covering, is the preparation of surfaces. Whatever the finishing coating, you need to understand that it should be laid on the most even and durable surface. Installing a new coating on top of the old one is unacceptable, as this will reduce its strength, aesthetic and other operational characteristics, which means you need to know how to remove the old floor, and not only know, but also do it correctly. 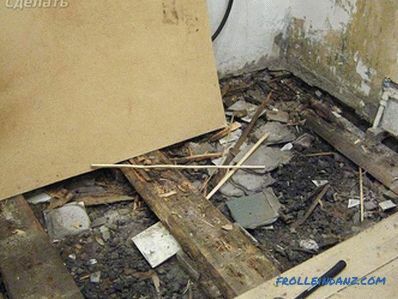 It is unlikely that dismantling any old flooring will be difficult for a professional person in this matter, but for the first time, those who are faced with the need to carry out this type of work should familiarize themselves with some rules. 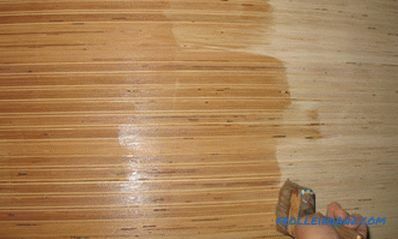 The work on dismantling the old floor will differ to some extent depending on the type of this coating. Therefore, the description of these works for a better understanding of the issue is better divided into several separate paragraphs. First of all, you need to understand that the work on the dismantling of indoor coatings will lead to the formation of dust and dirt, so before they start, you need to prepare personal protective equipment. Safety glasses or a mask, gloves, a respirator, as well as bags for garbage and dust will be required. 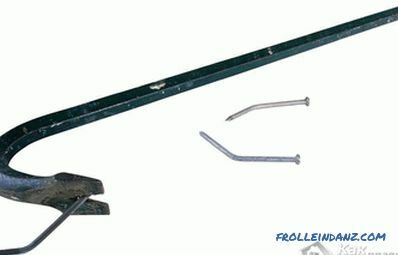 In addition, you will not be able to do without an auxiliary tool such as a crowbar, puncher, screwdriver and a hammer. Then you need to remove furniture from the room. Once the preparation is completed, you can proceed to the work itself. 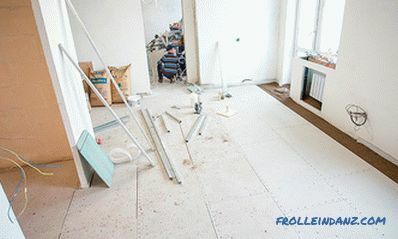 If rolled materials such as linoleum, carpet, and the like were used as flooring, then work should be started by removing the baseboards. This structural element must be removed around the perimeter of the room. It should be noted that it often happens that the nails with which the plinth is attached, rust and their dismantling becomes possible only with the complete destruction of the plinth itself. In this case, the remaining nails need to be cut off with a chisel. After removing the plinth, the coating simply comes off the surface, and you need to know what to start best from the corner of the room. 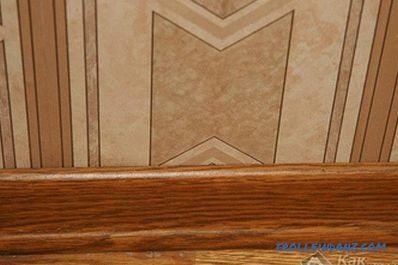 In the case where parquet or laminate is used as the floor covering, dismantling Floor should be made depending on what type of installation was chosen. If the coating was installed in a floating way, then first, as in the previous case, the plinth is removed, and then the coating is disassembled into separate elements. In addition, if there is a lock connection, then these elements may well be reused. If the coating is fixed in an adhesive way, then things are a little more complicated. In this case, after removing the baseboard, it is necessary to punch each element separately using a perforator. To do this, you need to install a special nozzle on the punch. If there is no perforator, then you can do the work with the help of a crowbar, prying up the element from the bottom and tearing it off. 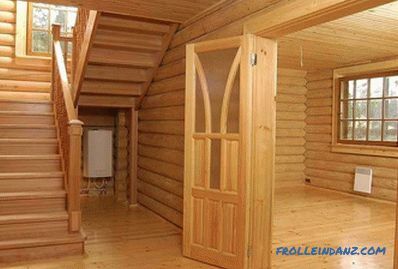 If a wooden floor was installed on the logs in the room, then such a covering is removed quite simply. If the boards were attached to the logs with self-tapping screws, then they just need to be unscrewed, and the boards are easily removed. If nails were used, the boards at the fixing point are hooked with a hammer and come off. If the boards do not need to be saved, then you can do it easier. Using an electric jigsaw, the boards are sawn across and just ripped off. Logs are also dismantled, depending on the method of fasteners. If attached with anchor bolts, they are twisted. And you can simply discourage lags from the base with a sledgehammer. When it comes to dismantling tiled floors, for example, tiled, then you should know that the work to be dusty and fairly time-consuming. 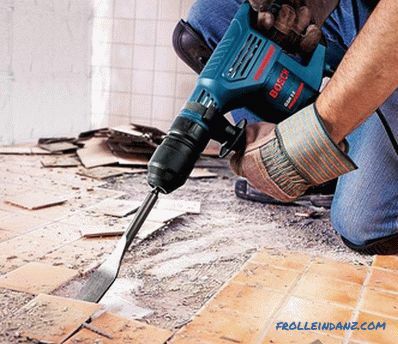 The tile is removed using a perforator with a nozzle or a hammer and chisel. It is important to note that the main difficulty in this type of work is the removal of residual glue and leveling the base. For these purposes, you can use the same punch. 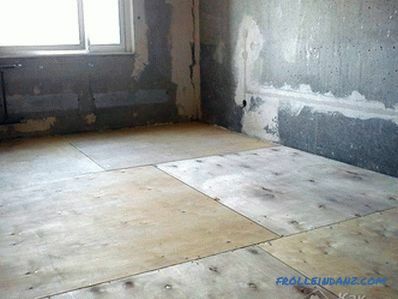 It may also happen that under the topcoat plywood leveling base can be placed. Sheets of this material must also be removed, since a new coating that has been laid over the old base may, after a while, begin to creak. If the plywood is screwed with self-tapping screws, they just need to be unscrewed, and if the plywood is glued to the screed, it is removed using a perforator. It should be remembered that it must be located at an acute angle to the surface. 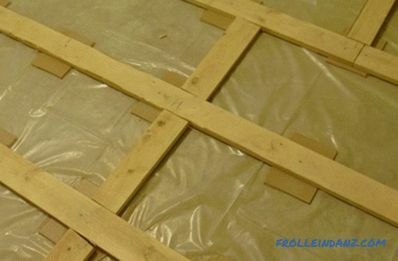 Dismantling the old flooring is not too difficult from the technological side it does not matter whether it is necessary to remove wooden floors or disassemble the floor from a tile. It will require only some knowledge and diligence. But, at the same time it is important to comply with safety regulations.